In 1975, Mary Scally, daughter of Thomas H. Sherwood, with her cousin John W. Croswell, expressed interest in donating the collection to the Archives. Beverly Oldfield, Executrix to the estate of Scally, delivered the collection to the Archives in 1985. Three series comprise the Sherwood papers: Documents and Correspondence, Civil War Memorabilia, and Photographs and Painting. The Documents and Correspondence series is arranged chronologically. Thomas Humphries Sherwood was born to Jesse Sherwood and Ann Curtis Sherwood on September 24, 1834 in Milford, Delaware. He earned the degree of M.D. from the University of Pennsylvania in 1858. In 1861, he served as Assistant Surgeon with the rank of First Lieutenant of the Third Pennsylvania Volunteer Cavalry Regiment. He was promoted to Major in the Twenty-seventh Pennsylvania Volunteer Cavalry Regiment in 1863. In December 1863, he was appointed Surgeon in Chief, First Brigade, Second Division, XI Corps. 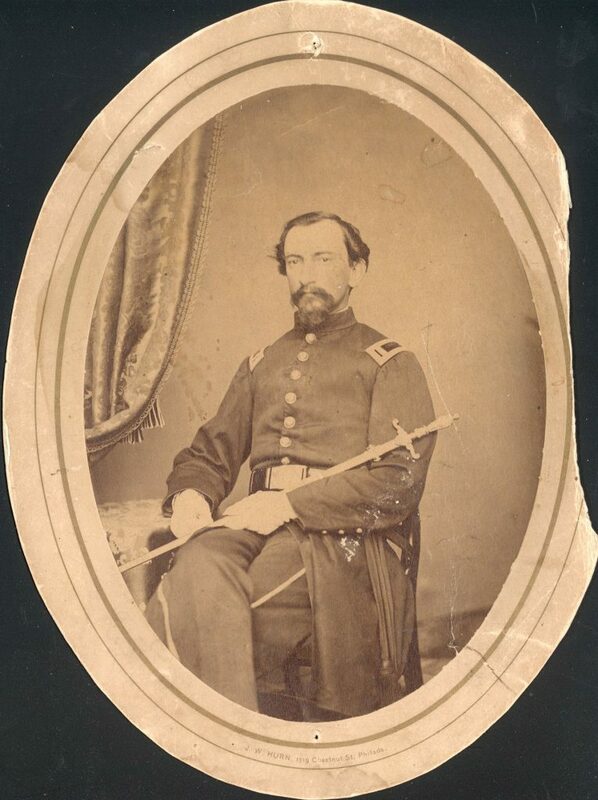 He then served as Assistant Surgeon for the United States Volunteers in 1864. He was promoted to the rank of Captain in 1865. Following the war, Sherwood continued his medical studies in London, Paris and Heidelberg. In 1882, he became Medical Examiner for U.S. Pension Bureau in Washington D.C. He was promoted to Inspector for the Department of the Interior in 1887. He was married twice, first to Josephine Massy and then to Mary Phoebus. He died on February 10, 1905, survived by his daughter Mary Josephine Sherwood Scally. Within the Documents and Correspondence series (1862-1890), the bulk of the material pertains to Sherwood’s service in the Civil War. 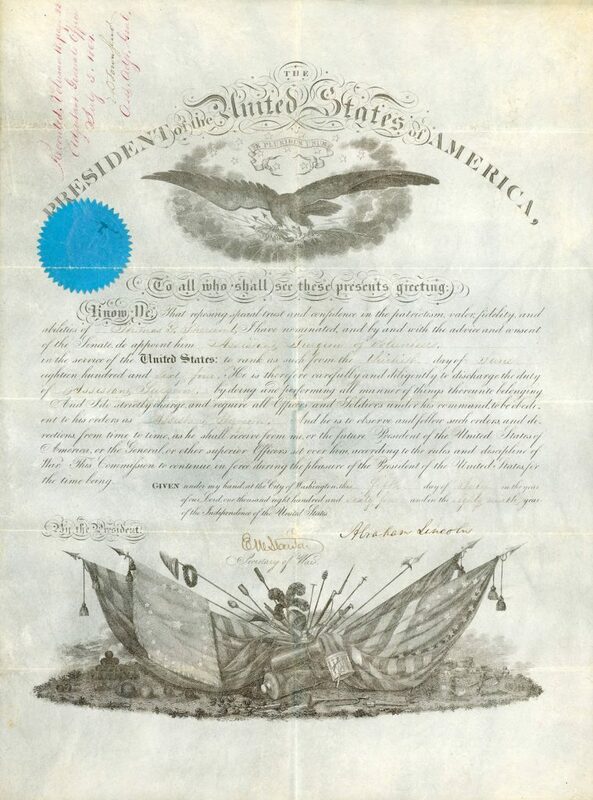 The series includes certificates of promotion, letters of recommendation, and correspondence from Sherwood to his wife. The Civil War Memorabilia series contains a few items removed from Sherwood’s uniform and his medical service sword. 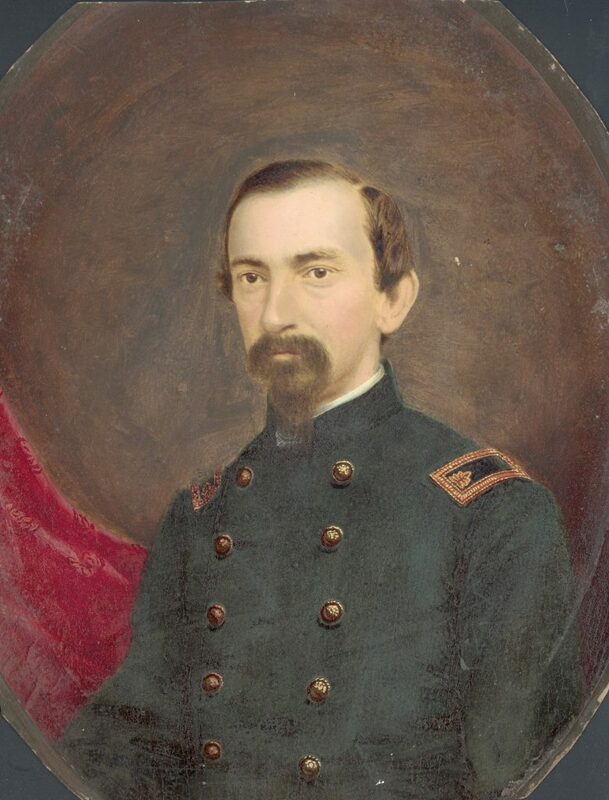 The Photographs and Painting series contains two photographs and one painting of Sherwood in his Civil War uniform. United States. Army. Pennsylvania Infantry Regiment, 27th (1861-1865).